Looking youthful, attractive and self confident is important for every man. Plastic surgery for men is becoming increasingly popular every year, as evidenced by the fact that more than 1.3 million cosmetic procedures, nearly 10 percent of all surgical and nonsurgical procedures in the United States, were performed for men last year. Dr. Brown will consult with you to formulate a personalized treatment plan to achieve your specific goals. 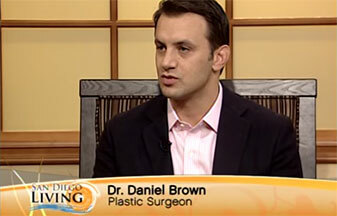 At Dr. Daniel Brown’s practice, you are his focus. We welcome you to schedule your Men’s Procedures private consultation so that we can learn about your specific interests, needs and goals, and educate you on specific options that will allow us to achieve your desired results.